Liz ended her month as CCEE Stampers hostess by telling us that January is National Thank You Month. So, she asked us to make a thank-you card and send an unexpected thank you to someone whose small act of kindness has not gone unnoticed by us. I am going to give this card to my son who installed a new light fixture for me. When was the last time you sent a thank-you note to your kid? My son is a big fan of the TV show which inspired the new Kindred Stamps set called Science Geeks. If you are familiar with this TV show, you know that the male characters enjoy all kinds of comic books and frequently dress up as their favorites. I used a very clever Lawn Fawn die set to create this Reveal Wheel card. When you move the wheel, the sentiment changes. Check out the CCEE Stampers blog for some more cards of gratitude. I have a friend celebrating her 70th birthday this week, and I wanted to make a special card to commemorate the occasion. I thought the Karen Burniston Explosion Pop-Up would be perfect. I pretty much copied the card Karen used in her video demonstrating this die, adding the 70 on the inside. 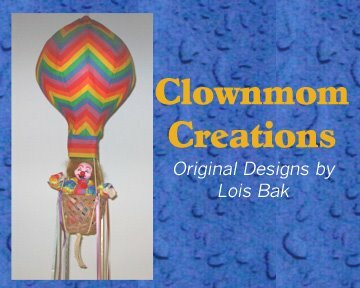 I used lots of bright colors and balloons. The borders on both the inside and the outside are from one of the new Border Blends dies, and the circles are the Crosshatch Circles dies. I hope she likes this card. Liz continues as hostess for the CCEE Stampers with a challenge this week to commemorate the discovery of gold in California on January 24, 1848. She asked us to include some "gold" on our cards this week. I am of an age where many of my friends have already or will soon celebrate their golden wedding anniversary. So I'll be prepared! 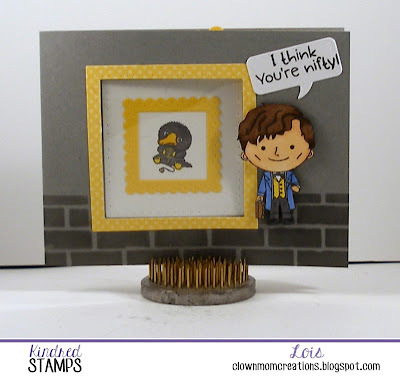 Check out the CCEE Stampers blog for some more golden creations. As a big fan of the TV series that influenced this brand-new stamp set from Kindred Stamps, I was so happy to be able to create some cards for Release Week! Science Geeks has my kind of nerdy characters. I have three cards to share with you today. My first is an Explosion card. How appropriate is this type of card for a sentiment that says "I hope your birthday goes off with a bang!" The front looks pretty normal, but . . .
. . . when you open the card, you get the explosion! BANG! My second card is dedicated to the astrophysicist in the group of friends. 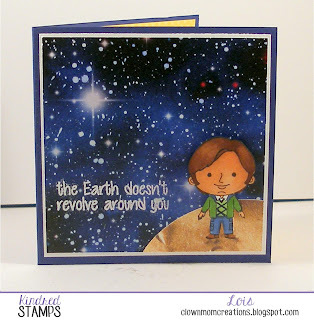 The designer paper I used for this card is associated with another Kindred Stamps product -- the Space Heroes box, but it worked perfectly for this card! 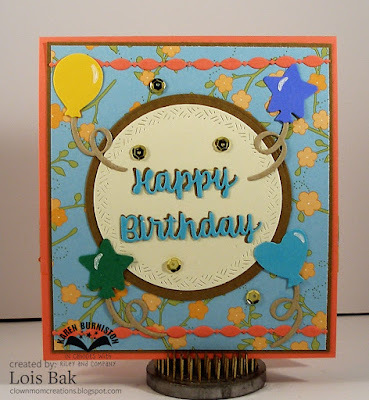 For my third card, I used another brand-new toy in my arsenal -- a door die from Lawn Fawn. I used the Kindred Stamps Brick Stencil for the wall. This card was inspired by one of the many idiosyncrasies of this fandom. I must admit I had lots of fun with this set, and you will probably see many more creations from me using it in the future. Kindred Stamps has a series of fun Wacky Holiday stamps -- one is released each month to celebrate a holiday for the following month. I'm using one of those stamps to celebrate National Popcorn Day, which is today. In addition, I'm giving you a sneak peek at a fun new die set from Karen Burniston called the Rockin' Rectangle. If you cut a window in the front of the card, you can see a bit of what's on the inside. Talk about a sneak peek! And when you open up the card, the panel pops up and rocks to the side! 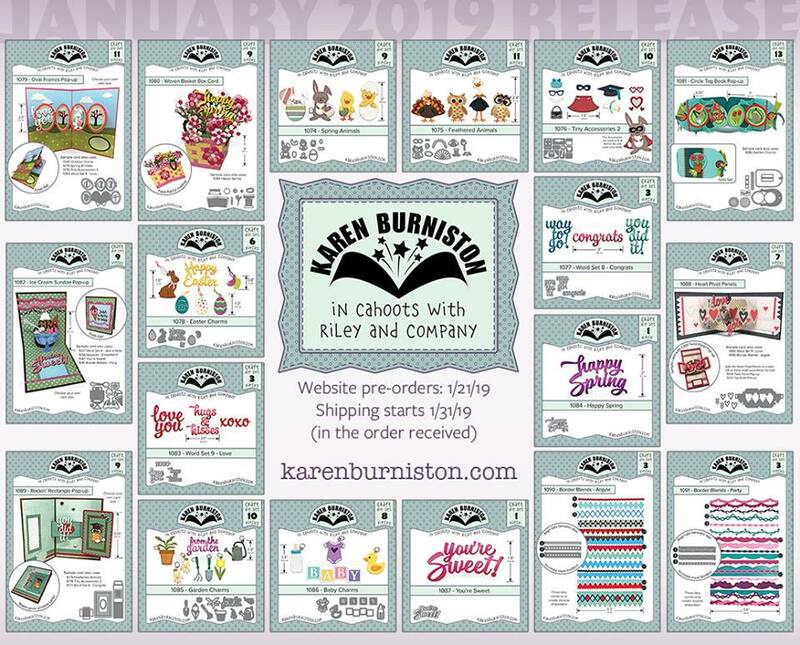 Karen Burniston is accepting pre-orders for her new release starting on Monday, January 21st, and they should start shipping on the 31st. Here's a look at all 18 of these new dies. If you're like me, you'll have a hard time picking only a few! Today's my day on the Kindred Stamps blog with one of my favorite KS sets, Catcher of Beasts. To show off this set, I have used a fun Karen Burniston die -- the Spinner Square. 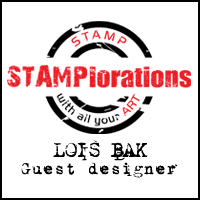 Once again Liz has a fun challenge for the CCEE stampers. This week she asked us to reach for our favorite hot beverage and make a card that lets others know what it is. When I got married, I tried to learn to drink coffee -- my husband drank it morning, noon and night. But I just couldn't develop a taste for it. A cup of Earl Grey tea is my choice. So hot tea at a mad tea party is the theme of my card. 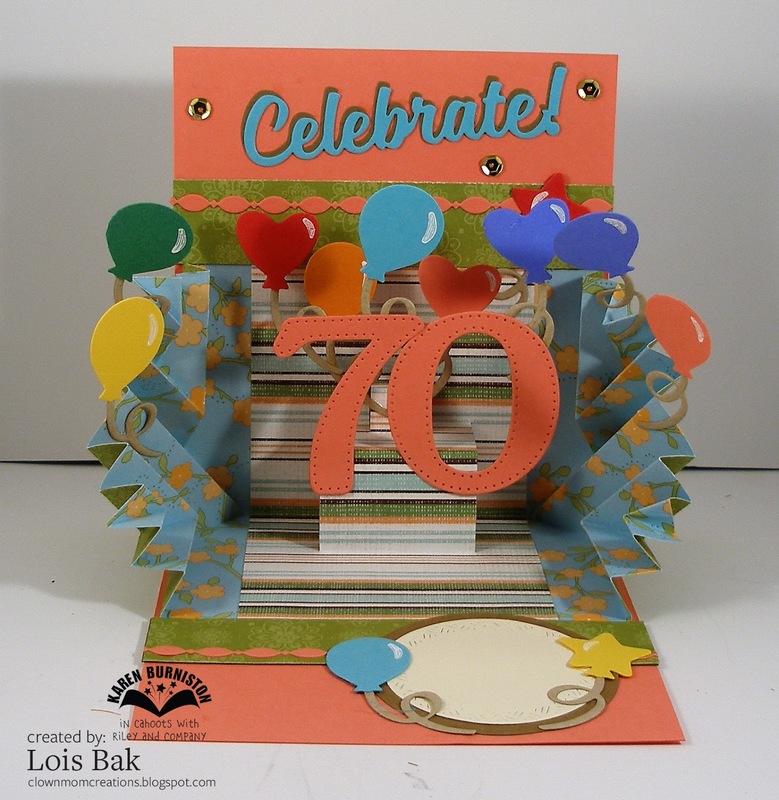 Karen Burniston's Frame Pull Pop-Up makes a fun little card. Check out the CCEE Stampers blog to see how the rest of the team handled this challenge. This month's challenge on the Kindred Stamps Fan Club Facebook page is a color challenge. This year's Pantone Color of the Year is Living Coral. 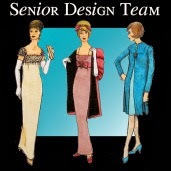 As a design team member, I'm probably not eligible for a prize; but I thought I would make a card to entice others to enter. I'm using a set from one of my favorite fandoms (Catcher of Beasts) and a fun technique (Z-Box Fold card). In looking at the front of the card, you can barely see the coral on the card base; but when the card is open fully, you can see more. As I was coloring the images for this card, I thought I could give both characters some coral -- the sweet witch's coat and the baker's tie. I found a piece of patterned paper I used as the basis for my color combination, pulling out the turquoise for the other color. 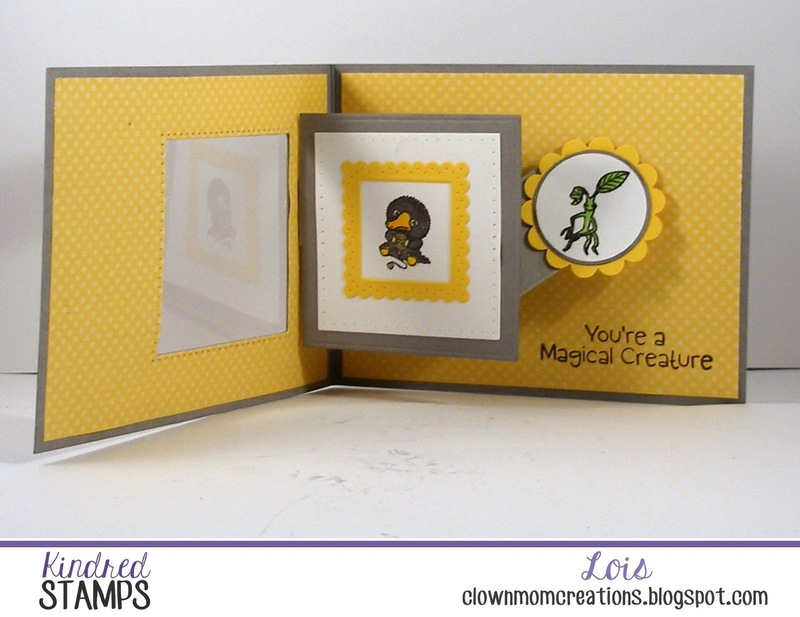 If you like this style of card, here's a link to a tutorial which explains how to make one. 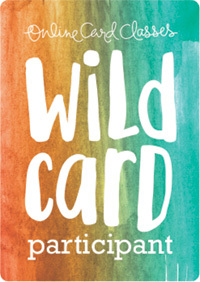 Why don't you join in on the fun and make a card for the Kindred Stamps color challenge? 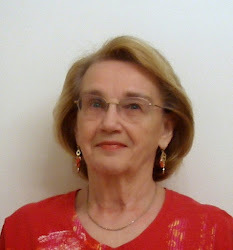 Liz continues as the CCEE Stampers hostess this week, reminding us that Elvis Presley's birthday is this week (January 8th). She challenged us to make him come alive in some way on our cards. Maybe a rock and roll theme, records, an Elvis or guitar stamp, or perhaps even "Blue Suede shoes." I included almost all of those things on my Pop-Up Tag Book card, using both stamps and computer images. Be sure to visit the CCEE Stampers blog to see some more cards dedicated to the King of Rock 'n Roll! 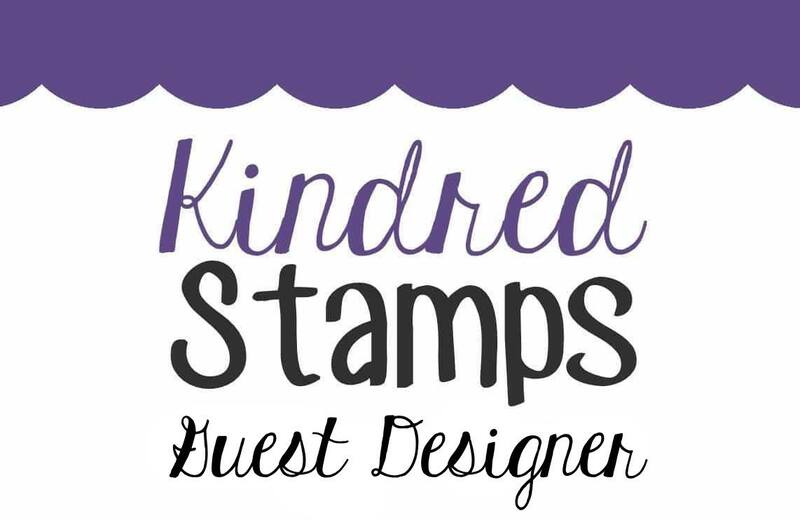 Nerd that I am, I'm so happy to be part of the Kindred Stamps Design Team for the next four months. I love all their geeky stamp sets. For my first blog post as part of the team, I am showing off a stamp set that you may have a very short time to purchase -- Back in Time. It is in the "Last Chance" category in the store. To start my card I cut a piece of light blue cardstock 4" x 5 1/4". Using the KS Forest Stencil (top row of trees) and some Ranger Distress Peeled Paint ink, I sponged the back layer of trees. Then I changed to Ranger Distress Mowed Lawn ink and sponged in the smaller row of trees. I filled in some of the small spaces with a darker green and a very small sponge dauber. At this point I cut a strip of grass patterned paper, using a hill die for the top, and adhered it at the bottom of the card. I have some MFT Die-Namics Road dies and cut one to span the card almost at the bottom. I then stamped the "flying car" with Memento Black Tuxedo Ink, colored it with Copic markers and carefully cut it out. I have found that, if you go around the edge of the cut-out piece with a black brush marker, it fills in any random white space you may have missed in the cutting process. I mounted the scene onto a piece of white cardstock which was cut 8 1/2" x 5 1/2", scored at 4 1/4" and folded in half. 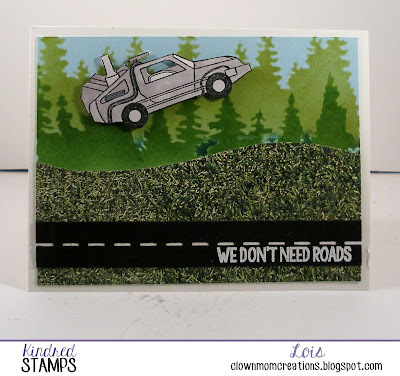 Using my MISTI for positioning, I stamped the sentiment with Versamark ink onto the road die-cut, sprinkled it with detail white embossing powder, and heat embossed it. All that was left was to add some foam pop dots to the back of the car and strategically place it flying over the tree line. Liz started off 2019 for the CCEE Stampers with a technique that is brand-new to me -- Black Ice. She said she lives in a place where winters are relatively mild, but her greatest fear is driving in icy conditions. "Black ice" is a very hazardous condition she has heard others mention -- and discovered in the tutorials on Splitcoaststampers a technique called "Black Ice." If you also are unfamiliar with this technique, here is a link to the tutorial. Here's my card. It is actually my second attempt -- the first one didn't go so well. This one isn't great, but it's definitely better than the first one! Stop over at the CCEE Stampers blog to see more examples of this very interesting technique. 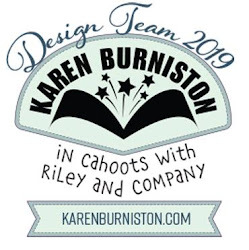 Today's Karen Burniston Designer Challenge is entitled "NEW." We were to try something new to us -- new technique, new color scheme, new style. What kind of card would be perfect for this challenge on this day? A Happy New Year card, of course! I incorporated several other "new" things besides "happy new year" -- a new technique I had seen Karen do (a double spinner card) as well as some new fireworks stamps (first time I've used them). In case you haven't seen Karen's video on how to create this double spinner, here is a link to her YouTube video. This is a close-up of my double spinner mechanism. As you can see, the upper spinner mechanism is a trimmed-down version of the original spinner mechanism. A fun element on this card is the pouring champagne, which was made with a small piece of embroidery floss. In addition to the Spinner Square Pop-Up die, my card included pennants from the Twist Panel Pop-Up set and balloons from the Explosion Pop-Up set.